Summary: The most anxious situation is to have the WD hard drive not recognized problem happens on the computer, which causes the data on the WD hard drive cannot be accessed. However, let's focus on how to fix the error and get back all of the data. There are many reasons to cause Windows or Mac that doesn't recognize the WD hard drive. We've received an email today asking help on recovering data from a WD hard drive, which cannot be recognized by Windows 10. Then we consider it's better to tell about this issue in this article and lead someone who doesn't know how to fix WD hard drive not recognized error. Please help, today when I tried to open my computer, but I received a message that the 500GB WD external hard drive not recognized, I tried to reboot the computer for several times, the problem still the same. However the power LED is still on, I am pretty sure the hard drive cable is completely all right because I just bought yesterday and it works fine until today, please helping me to fix the error or just help me to recover the data on the WD hard drive, thanks very much. One of our customers wrote the email on August 22, 2018. How to fix WD hard drive not recognized error? 1. Check the hard drive data cable and try to change to a new data cable. Sometimes the bad quality of the cable of the hard drive may cause the WD hard drive not recognized error, therefore, by changing to a new data cable you'll probably have the chance to fix the error. In addition, virus attacks may cause the same error and you'd better remove the viruses or Trojans first from your PC to make the WD external hard drive being recognizable, you can also try to uncheck Allow the computer to turn off this device to save power function on Power Management of the USB root hub located on Device Manager. With the above 2 ways you can fix the WD hard drive not recognized error, troubleshooting on the WD external hard drive with each method that mentioned above. How to fix WD hard drive not recognized error without losing data? There are two solutions for you. Solution 1. Change drive letter for the WD external hard drive. Solution 2. Run the Device Manager to fix the WD hard drive not recognized error. How to recover data from inaccessible WD hard drive? After you've followed the solutions to make the WD external hard drive recognizable, then you can rely on the third-party free data recovery software to recover the data from WD external hard drive. And here we strongly recommend you to use Bitwar Data Recovery Software and try to download from here by clicking below download button. 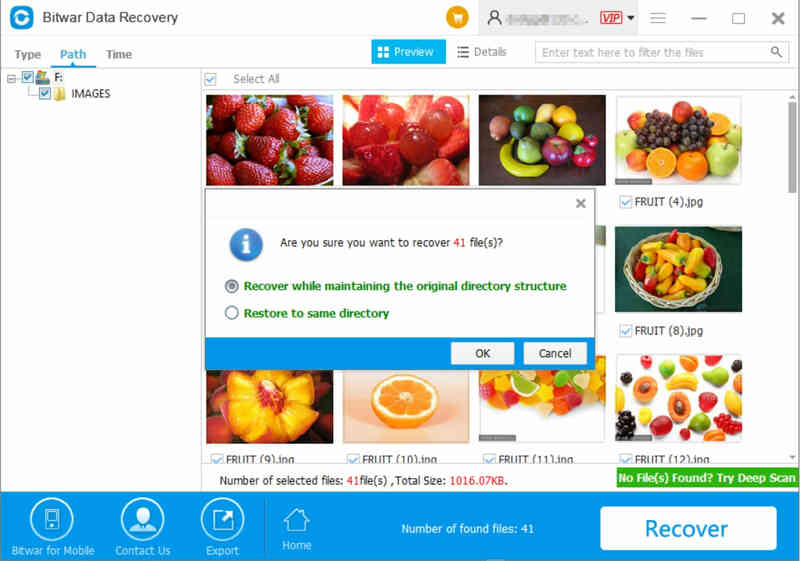 Bitwar Data Recovery Software is a free WD hard drive recovery software, which can be used to recover documents, video, audio, archives, photos, etc. Therefore, after download, you can install it on your computer and then launch the software to scan the WD external hard drive. Simply follow the below steps to recover data. Step 1. Choose External Devices Recover from Standard Mode. Step 2. Choose the WD hard drive and then choose the types of files you want to recover. Step 3. Double-click the file to preview and then hit Recover as you need. WD hard drive not recognized error is quite common seen error among users, however, there's no need to worry because we still have the chance to fix the error and get back the data by Bitwar Data Recovery. Summary：Today we will guide you 7 fastest solutions to fix the last USB device malfunctioned and Windows does not recognize it error happened on the computer while you were trying to connect the USB device.